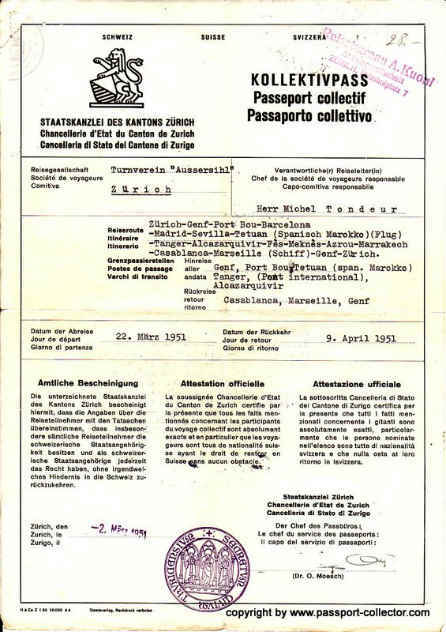 Swiss Collective Passport 1951 for members of a gymnastic club. Collective passports are extraordinary. Nowadays they are not longer issued as each individual needs its own document. This example I got from my Swiss fellow collector Ernst. To meet up with Ernst is always a pleasure as we understand each others needs and we do just a swap – no money involved. This very nice collective passport is for a Swiss gymnastic club where 25 people traveling to Spain, France and Morocco. 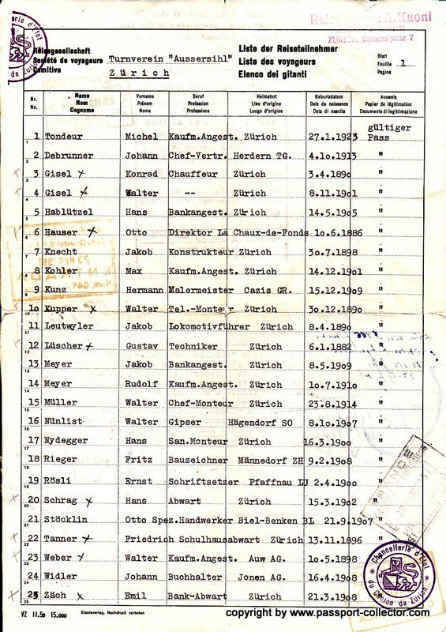 Visas and revenue stamps from these countries included.The travel document was issued 1951 in Zürich. 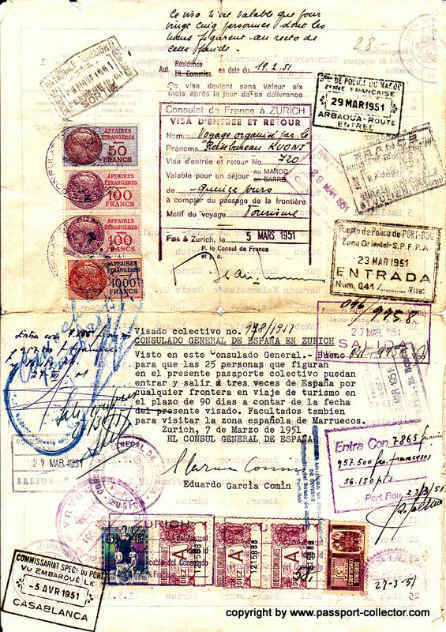 I believe I have now about a dozen of such collective travel documents in my collection.